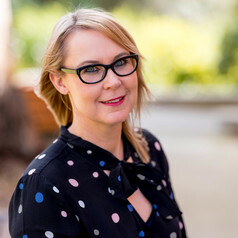 Dr Louise Grimmer is a Lecturer in Marketing and a Retail Researcher in the Tasmanian School of Business and Economics at the University of Tasmania. Louise is an active researcher in the areas of sustainability in retailing, issues management and crisis communications in the context of the retail industry, factors affecting small and independent retailers, and how marketing communications can help retailers grow their firms. Her other research interests are shopping precinct improvement, supermarket and department store retailing, tourism and retailing, and how the digital economy is transforming traditional modes of shopping. Louise is regularly sought out for expert comment by local, national and international media outlets and she has published in leading academic journals including Journal of Retailing and Consumer Services, Annals of Tourism Research, Journal of Small Business Management and Journal of Consumer Behaviour.